The Jazzfruit International Contest will support young Czech and international music projects for the tenth time already. Jazzfruit has both a Czech and an international category and the closing date for applications is March 17, 2019. Apply with your project! The international category is designed for experienced bands from both the Czech Republic and abroad. They may enter the competition from 15 February to 17 March 2019 by filling in the application and sending their records. Of all the applications received, the Mladí ladí jazz festival team will select three bands to compete in the Final. The Final takes place at the Open-Air of the Mladí ladí jazz festival on April 30, 2019 at Karlovo náměstí. The winner will be selected not only by the professional international panel, but also by the audience. 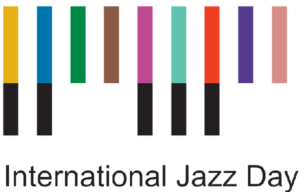 Recordings of all finalists will make a compilation to promote the Mladí ladí jazz festival at such prestigious events as jazzahead!, ESNS or events from Europe Jazz Network. The Jazzfruit contest has a ten-year tradition. The winners include such stellar artists as: Igor Ochepovsky, Ľubomír Gašpar Cimbal Project, Silva Šírová Sextet, D.A.S. Trio, Weezdob Collective, Fanfán Tulipán, Quattro Formaggi, Wunder Bar Band, Tres Quatros Quintet or Ostrich Quartet. “Compared to other contests, Jazzfruit´s uniqueness is particularly in the freedom we give to both bands and projects – it is not necessary to come up with an interpretation of specific tracks or styles, nor do we specify requirements for instrument line up or the need to showcase exclusively their original production, even though it is a benefit. We do not set boundaries; in terms of perceiving jazz, we rather want to break them,“ explains Jan Gregor on behalf of the organization team.